Rechner sensor designs are now implementing Bluetooth capabilities. Rechner sensor designs are now implementing Bluetooth capabilities. You can monitor Bluetooth sensors on the production line from your office. Each sensor can be individually identified. This information simplifies set up and troubleshooting. Has the sensor been correctly adjusted? Is the measuring range correct? Even monitor product build up on the sensor face to schedule preventative maintenance. 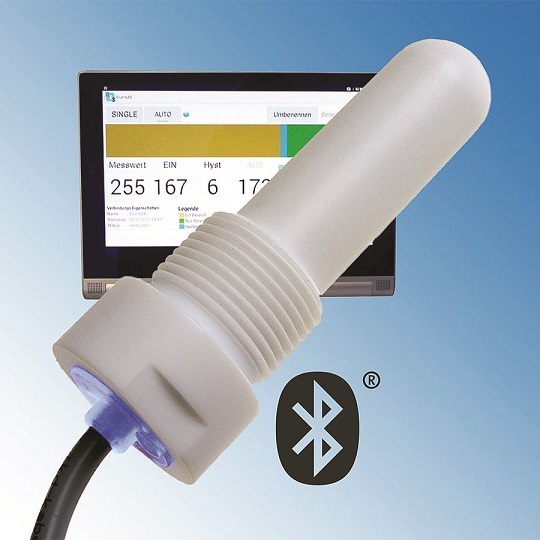 The unique body design and PTFE housing of the S26 capacitive sensor allows for reliable level control of powders and sticky or thick products like honey or glue.